I'm sure you'll have noticed our lovely new header and blog button at this stage (aren't they fab? Miss Anna is the talented lady responsible for designing them and doing all the techy stuff to get them up there too). As well as putting a lovely new face on our blog, officially changing our name from the Modern Quilt Guild of Ireland to Modern Quilters Ireland, the change of name, look and feel also coincide with some behind the scenes changes. 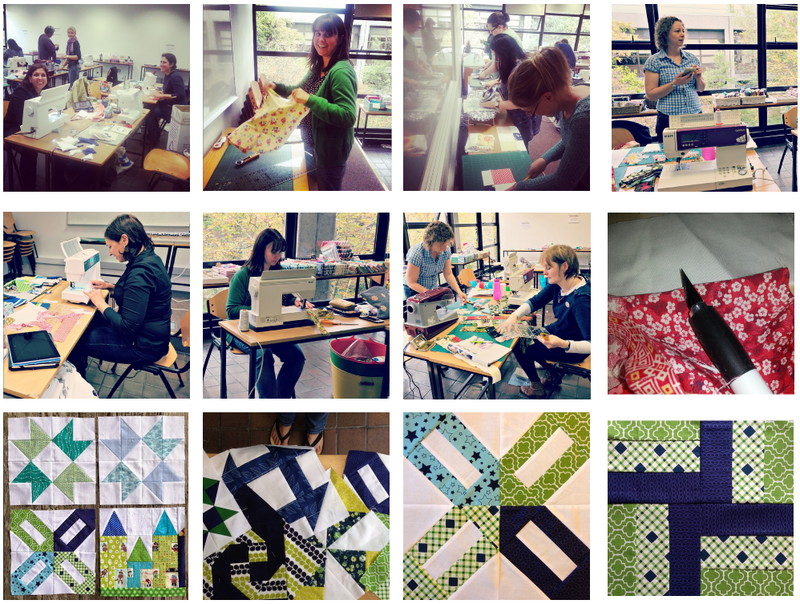 As I'm sure most of you know, Cindy and I (Sarah) started the Modern Quilt Guild of Ireland back in 2012. 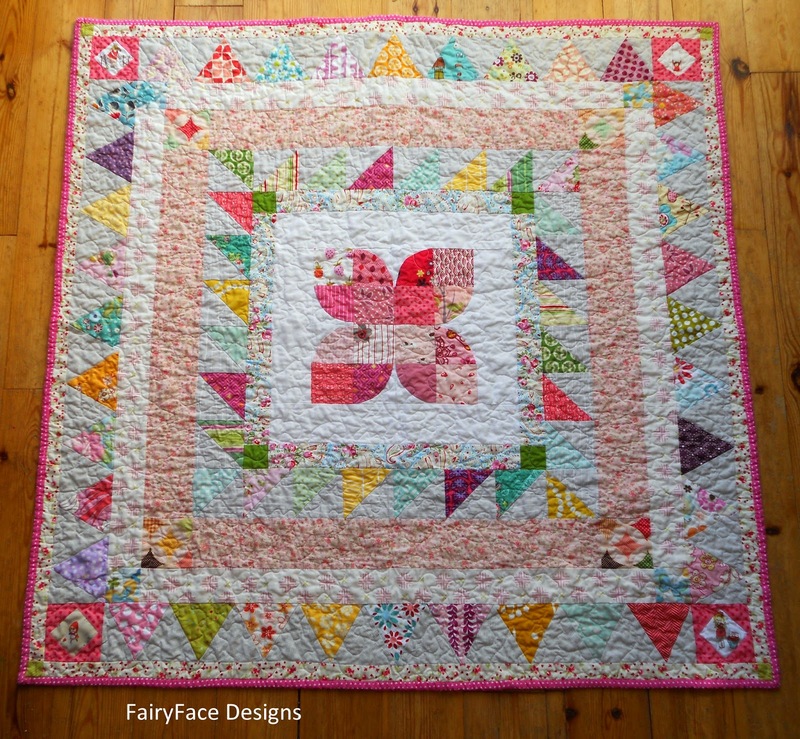 Our hope was that we would gather together the small, dispersed group of modern quilters in Ireland into a fun, happy, chatty community through meetups, swaps, bees, online chat etc. We were (and still are!) 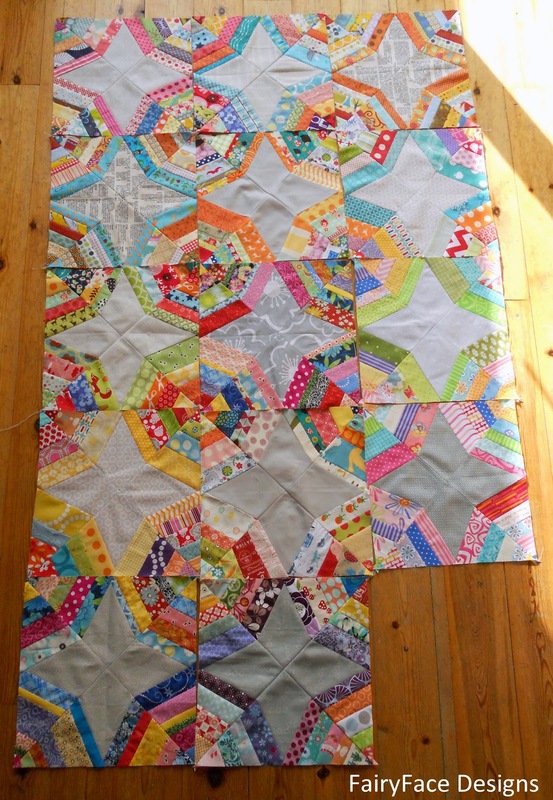 totally in love with modern quilting and wanted to share that with other like-minded quilters. We also were hoping we might encourage a few people to dust down their sewing machines and get involved. Happily, two years on, we have created a vibrant group of people. There is lots going on! Swaps, bees, charity quilts, sharing of ideas and inspiration, local meetups and lots of chat, whether it is through Instagram, our chat group on Facebook, or simply lots of email. There have been a number of different meetups, particularly in the last few months, and this is an area that seems to be gathering momentum all the time. For me, the highlights have been our swaps and our Bees. I have these beautiful spiderweb blocks awaiting assembly in my sewing room at the moment from my month this year - I need to add a few more as this will be a picnic quilt - but it will be done for next summer. Didn't the Hive members do a good job? And the other highlight was the Medallion quiltalong Cindy coordinated earlier this year. Lots of lovely medallions made or still in progress from this. I made a baby medallion. But both Cindy and I have been really struggling to find the time in the last 6-9 months to keep on top of what needs to be done for the MQI. It is growing all the time and it needs fresh energy and perspective. Plus, MQI was never intended to be solely ours - it was always our intention that other people would be involved in the running. So we are handing over the reins to some fresh organisers, namely Anna, Ruth and Fiona and we are 100% sure they will do a great great job seeing as they are all fabulous! They have already come up with lots of ideas and they are going to be sharing those with you. For now though, Cindy and I want to thank all our lovely members for their support of us in the last few years and for getting involved. We aren't going away - we will be active members - but we are not going to be involved in the administrative or organisational side for the forseeable future. And wish our new organisers luck! You're in safe hands.